Surveillance footage from a restaurant near San Francisco’s Union Square may help to nab a thief for the second time. Police are reviewing footage from a Lefty O’Doul’s surveillance camera, which may have caught two men who robbed a jewelry store Wednesday afternoon in the 300 block of Geary Street. 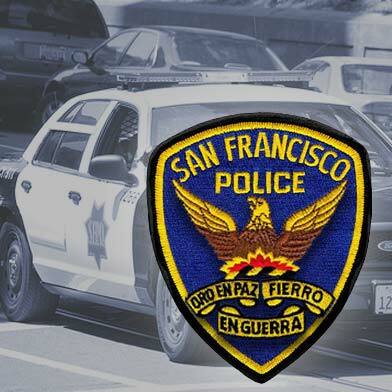 At around 1:20 p.m. Wednesday, two men stole several diamond bracelets from the store on Geary Street, police said. The suspects, a man in his late 30s and another in his late 20s, entered the store and asked an employee to open a display case, according to police. The older man was talking to the employee about the jewelry while the second suspect stood by the display case. Then, the younger man said something in Spanish to his accomplice and the pair walked out of the store, police said. Shortly afterward, the victim noticed seven bracelets were gone and yelled at the suspects, but they ran away. In July, Lefty O’Doul’s surveillance footage helped police capture a man who stole a Picasso drawing from a nearby art gallery. Mark Lugo, 31, of Hoboken, N.J., walked into the Weinstein Gallery at 383 Geary St. on July 5, then walked out with a Picasso pencil-on-paper drawing titled “Tete de Femme” valued at $275,000 and fled in a waiting taxicab, police and prosecutors said. Lugo was arrested the following day after police used surveillance video footage and eyewitness accounts to track him to a hotel in San Francisco, then to an apartment in Napa where he was staying with friends. Lugo pleaded guilty Thursday to grand theft. Anyone with information about the jewelry theft is encouraged to call the Police Department’s anonymous tip line at (415) 575-4444 or send a tip by text message to TIP411.